Our “Nutri-Wellness” package with Oakville holistic nutritionist, Maha Nasr, will help you to naturally heal your gut and identify underlying food triggers, using our blue print 5-step formula that gets to the root cause of the problem not only covers symptoms. This digestive health program is specifically designed by our Oakville Holistic Nutritionist, Maha Nasr . It is personalized to your health needs in order to provide you with a holistic long-term solution that addresses the root cause of the problem not only suppresses symptoms. 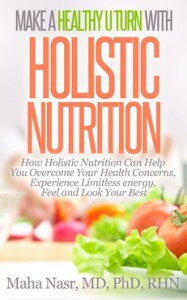 In working with Oakville holistic nutritionist, Maha Nasr, you will be gently guided through a proven 5-step holistic system that helps you to take back control over your diet and lifestyle so that you can naturally and effortlessly turn around your symptoms, identify underlying trigger foods and enjoy overall wellness. By the end of this program you will be able to discover the ideal diet that works with your body to maintain long-term vibrant health. This functional and holistic digestive health plan will also have positive effects on your overall health including better mood, higher energy levels, deeper sleep and clearer skin. Who is the “Digestive Health Package” for? Digestive health issues such as gas, bloating, burping, constipation, diarrhea, irritable bowel syndrome (IBS), abdominal pains, nausea, acid reflux or heart burn, GERD, gastritis, stomach ulcers and colitis. A detailed intake will allow us to get clear about your goals, uncover existing nutritional imbalances and personalize your plan accordingly. You’ll also receive a preparation guide to help you get started immediately. Safely eliminating toxins and irritants from your diet will help to rest your digestive system and considerably calm-down inflammation allowing you to feel better faster. We focus on nourishing your body with super-food nutrition using gut friendly foods combined with natural supplements and digestive herbs that encourage healing and repair. Our Oakville nutritionist will provide you with a specific plan to help you easily identify foods that trigger your symptoms and customize your diet accordingly. 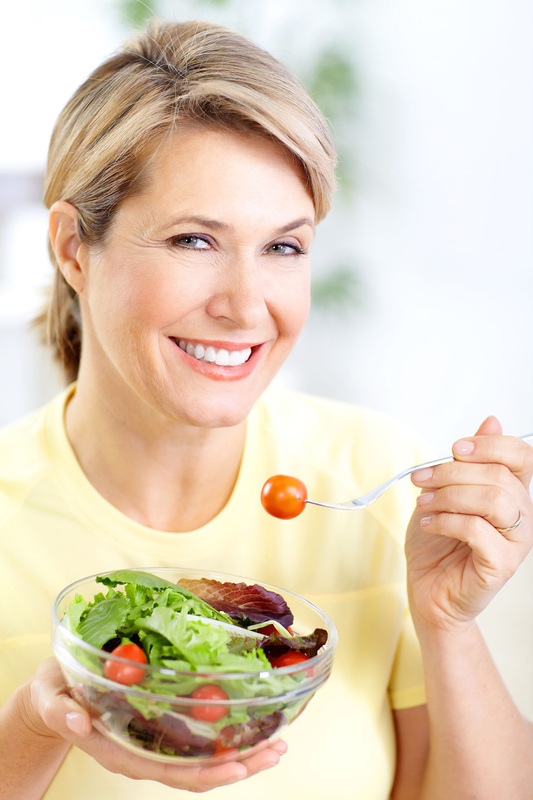 By the end of this program, we will help you design an ideal maintenance diet to prevent recurrence and support long-term results. About 10-12 weeks in duration. Best if you have minor health concerns or recent health issues. BONUS: Food Swap Suggestions to help you make better food choices and enjoy your favorite meals in a healthier way. ($25). YOUR PRICE: $1,650 $847+tax OR 3 monthly payments $327+tax. About 20-24 weeks in duration. *Best if you have multiple or long-standing chronic health issues. BONUS: Healthy Dessert Recipes to help you celebrate special occasions while enjoying guilt-free healthy desserts. ($25). *This package not only provides more sessions, meal plans and bonuses but it will also allow you to experience a total health transformation. YOUR PRICE: $ 2,595 $1,247+tax OR 4 monthly payments of $347+tax. Clients are amazed at the results they get and say remarkable things about the impact Maha’s work had on their health and their lives. When I contacted Maha, I was having digestive issues; feeling uncomfortable, irregular bowel movements, heartburn, bloating and cramps. I was fatigued, at times depressed and wanted to feel better. Maha’s Digestive Health Program has helped me considerably to turn around all of my digestive issues. Now I feel so much better and am very grateful for Maha’s advise and patience. Maha is a calm and caring person and I enjoyed the new and different dietary options she presented. I also liked the convenient location. This program certainly met and exceeded my expectations and I would recommend Maha to others because I thoroughly enjoyed the program with her. Before the program I always felt bloated, foggy and experienced headaches and acne. I came in thinking I needed a weight loss program and left with an abundant amount of information on healthy eating, lost 10 pounds, and have never felt better! I loved all the great recipes and the program overall. Maha is so genuine and she made me feel comfortable and was honest every step of the way. She recommended books, exercises and different ways to uplift me with positive energy! Maha exceeded my expectations! I would 100% recommend her to others. She changed my perspective on how to handle food and understand my body from the inside out. When I met Maha, I struggled with digestive issues (nausea, bloating, diarrhea and abdominal pains) and I was also overweight, felt tired most of the time and was diagnosed with fatty liver. After just a few weeks on the “Digestive Health” program, I felt so much better and most of my digestive issues were gone. I also lost some weight, was sleeping better and my energy was good. I liked the meal plans and the recipes were easy and delicious. Maha is a very knowledgeable and encouraging nutritionist and I felt that the simplicity of her approach is what made this program easy to follow. I have already recommended Maha to others as I feel confident that she can offer them the same results I got.